I am originally from Wheeling, WV....home to the Stifel Calicowork. 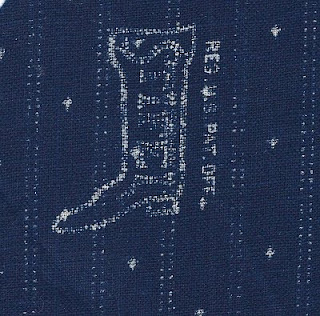 The company dyed indigo goods from 1835 until just before WWII. Post war, it changed the product mix (mainly Sanforized cotton/cotton blends for sports wear) and continued to operate until 1957 when it sold to Indian Head Mills and closed it doors. I babysat for the plant manager who lived directly behind me. Johanna Stifel emigrated from Germany early in the 19th century and in 1835 established a 'blue dyer' operation in Wheeling, Virginia ( We did not become West Virginia until the War). The boot was his logo. 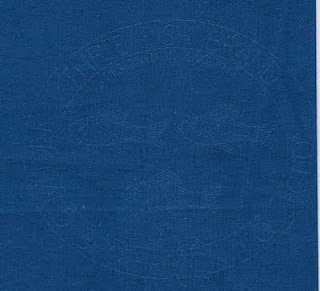 It is typical of eastern European 'blue dyers' to put their logos on the back of the goods. 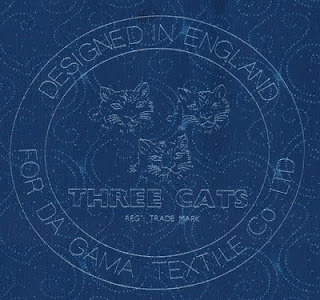 In the early 1990s, Dagama Mills purchased dye formulas, pattern books and etched 36" wide rollers from three British companies who were closing their indigo dye operations. 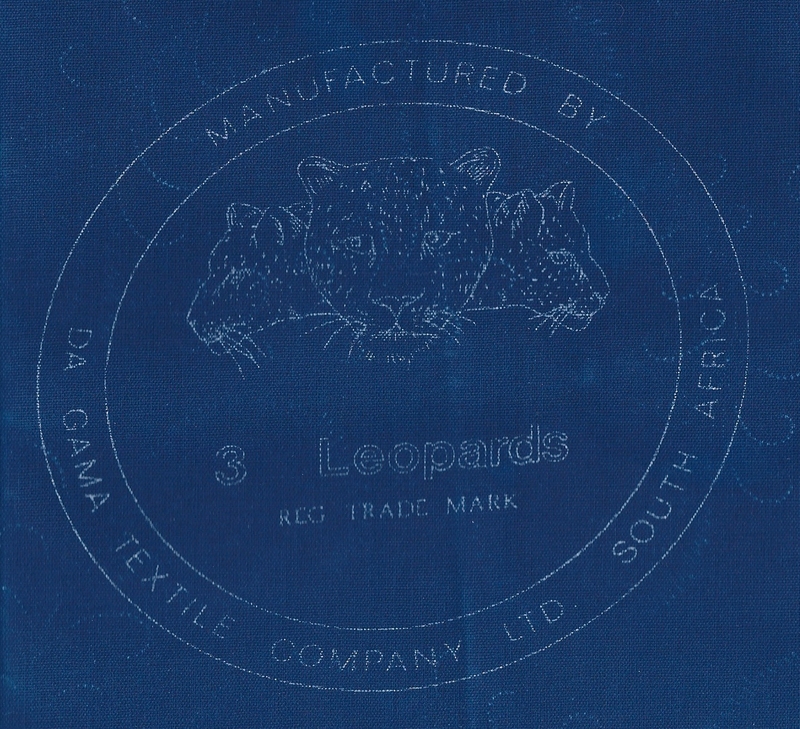 In 1994 I started to import Dagama Indigos....dyed with Indigo and using patterns similar to those in the Stifel archives. 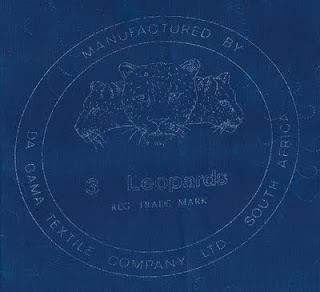 At that time, Dagama offered designs from 3 different lines...3 Leopards, originally Brunnschweiler and Company. 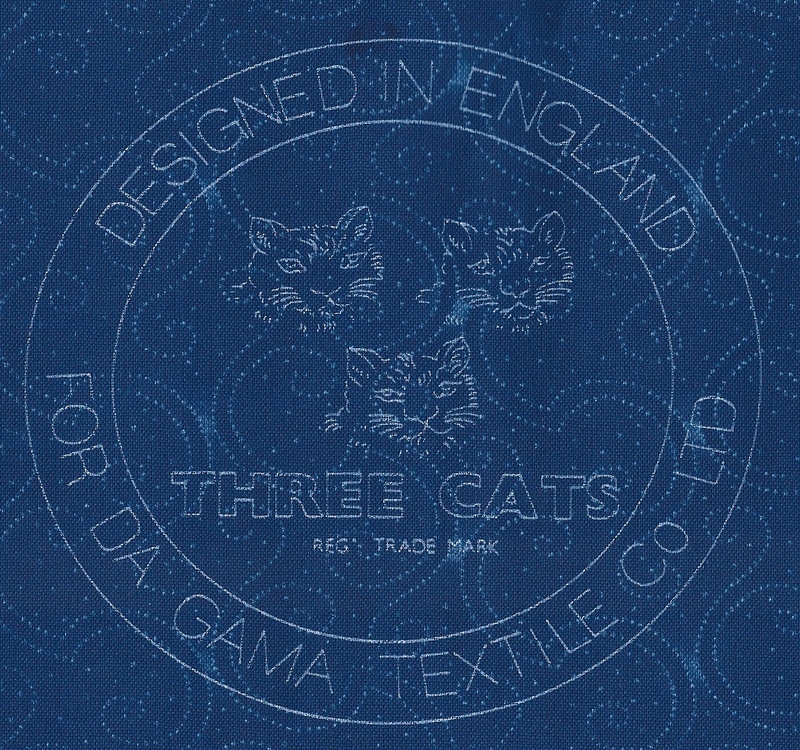 3 Cats was from Brotherton. 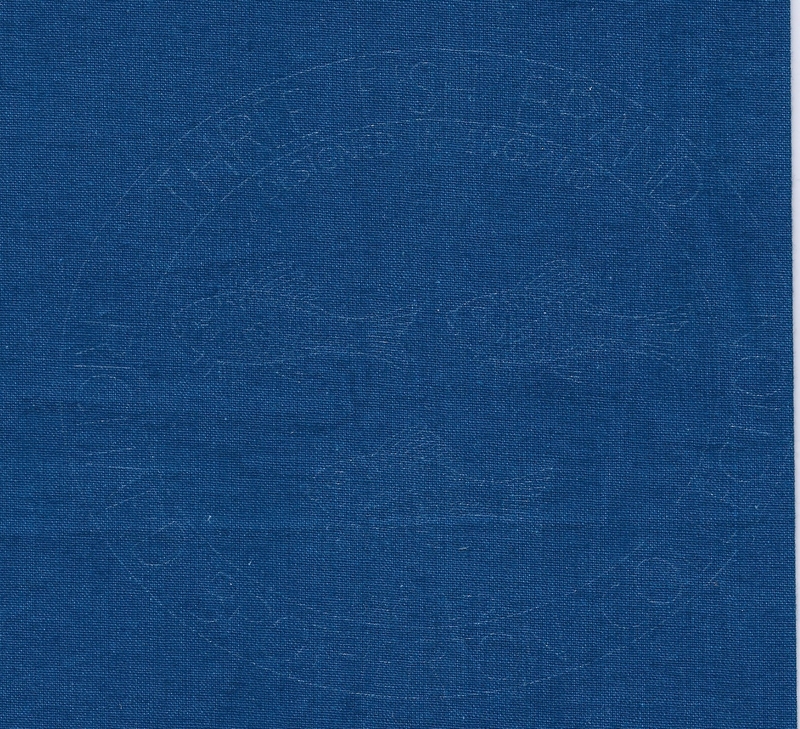 3 Fish by Spruce Manufacturing This is the only example I still have of a complete 3 Fish logo...it has been washed. I have not seen this line offered by Dagama for many years. I always try to incorporate the logos into my Indigo quilts. 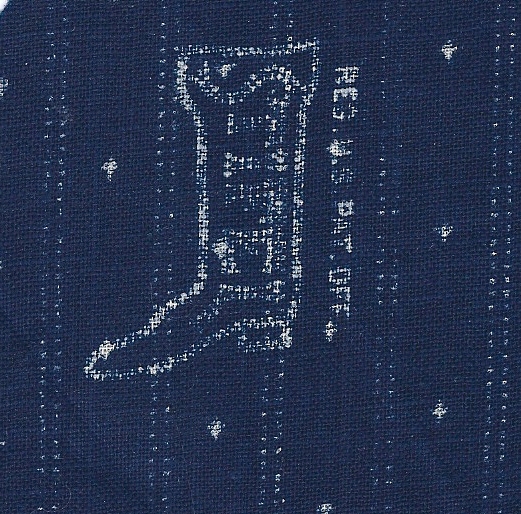 More Indigo logos on the next post. For those of you who love my textile history crossword puzzles, I am currently working on a new one for The Quilt Life, Dec '11.